Whether you're working out, running errands or just relaxing at home, this versatile Dri-Power Pullover Crew will keep you comfortable. Made with medium-weight fleece, featuring our Dri-Power moisture wicking technology to keep body heat in so you can stay warm and dry. Ribbed waistband and cuffs offering a secure fit. V-notch at the crew neck adds modern detail to this timeless athletic staple. Grab this sweatshirt and go. We know sweatshirts. We've been making them for more than 80 years. The next chapter is the Russell Athletic men's cotton rich fleece crew. Made with ring spun yarn, for exceptional softness and strength. Anti-pill fabrication ensures an always smooth surface. A modern fit and a zippered front muff pocket will keep you feeling comfortable and looking stylish. 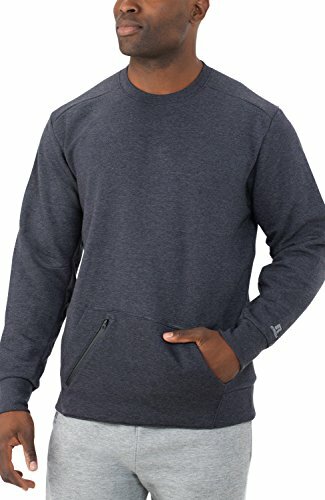 Whether you're working out, running errands or just relaxing at home, this versatile Dri-Power pullover hoodie with front pocket will keep you comfortable. Made with medium-weight fleece, featuring our Dri-Power moisture wicking technology to keep body heat in so you can stay warm and dry. Ribbed waistband and cuffs offering a secure fit. Drawstring hood easily adjusts to provide additional protection from the weather. Grab this hoodie and go. Russell Athletic knows sweatshirts. 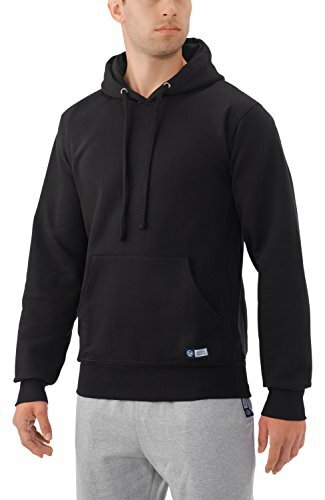 We've been making them for more than 80 years, and as the original sweatshirt designer, we are channeling our past with the men's Pro10 fleece hooded sweatshirt. With every stitch we're chasing perfection, so that you can too. This heritage inspired piece is made of 12.5 ounce heavy weight cotton rich fleece that will keep you warm and cozy. Notice the sewn label on the lower left front. The eagle displayed is part of our brand's 100-year-old legacy. 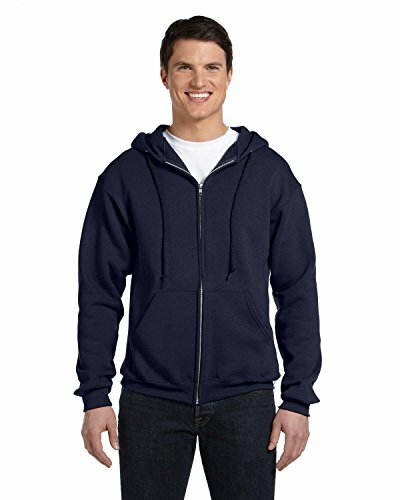 The interior of the sweatshirt is brushed, which provides comfort and no shedding. Our Pro10 fleece pullover hood features a jersey back neck tape, front muff pocket, metal grommets and chunky knit drawcord. 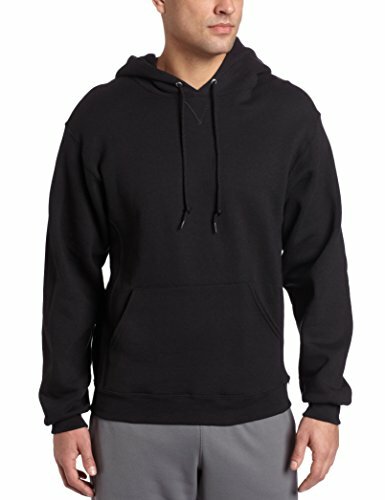 The hooded sweatshirt has a ribbed collar, cuffs, band, side panels and under sleeve gusset. This is one classic sweatshirt that is radiating quality and proof that our details really are in the fabric. The Pro10 fleece pullover hood is going to be your new favorite sweatshirt you wear to the gym, to watch your favorite team and everywhere in between. Available in sizes s-3xl. 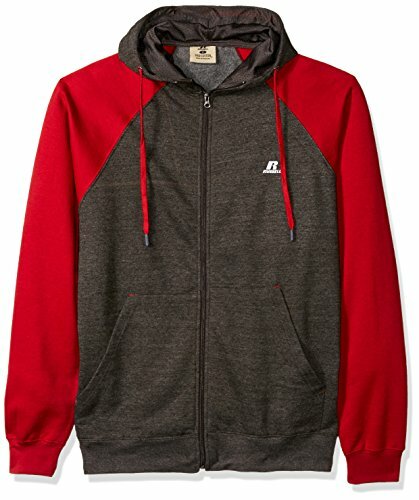 Russell Athletic cotton rich full zip fleece hood contrast lining inside the hood. Raglan details with contrast color sleeves. This is a garment that the more it is washed the softer it gets slowly becoming one of your favorite pieces to wear. Pockets are there for functionality and warmth. Russell Athletic knows sweatshirts. 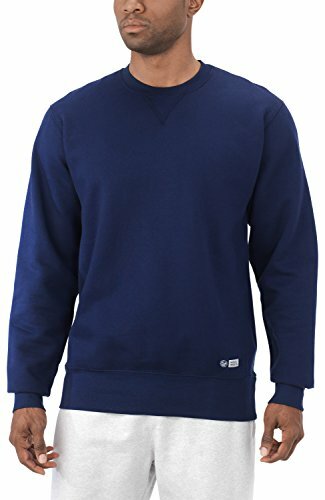 We've been making them for more than 80 years, and as the original sweatshirt designer, we are channeling our past with the men's Pro10 fleece crewneck sweatshirt. This heritage inspired piece is made of 12.5 ounce heavy weight cotton rich fleece that will keep you warm and cozy. Notice the sewn label on the lower left front. The eagle displayed is part of our brand's 100-year-old legacy. 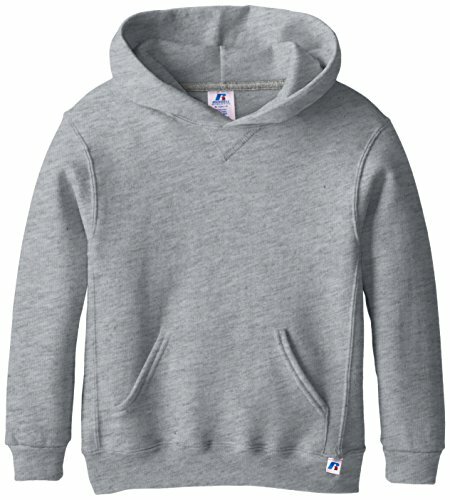 The interior of the sweatshirt is brushed, which provides comfort and no shedding. Our Pro10 crewneck fleece sweatshirt features a jersey back neck tape and a ribbed collar, cuffs, band, side panels and under sleeve gusset . This is one classic sweatshirt that is radiating quality and proof that our details really are in the fabric. The Pro10 fleece crew is going to be your new favorite sweatshirt you wear to the gym, to watch your favorite team and everywhere in between. Available in sizes s-3xl. 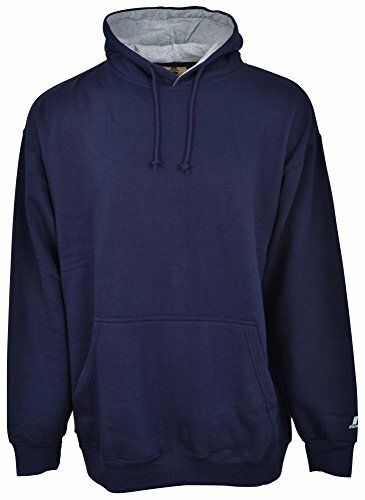 Copyright © Wholesalion.com 2019 - The Best Prices On Russell Athletic Mens Pullover Online.